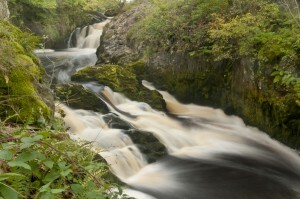 Ingleton has a rich and diverse history from mining, railways and textiles to connections with authors such as Sir Arthur Conan Doyle and Michael Moorcock. The prehistoric site on Ingleborough dates back to around 2000BC and has been described as a possible Iron Age hill fort, however recent investigation has found no sign of ancient hearths, giving rise to a new interpretation of it having been a place of ritual within the tribal lands of the Brigantes. Early Ingleton is likely to have been an Anglian moated settlement on the east bank of the river Greta. There is evidence of later Norse infiltration into the area in names such as Moorgarth and remains of Viking long huts have been found at Ribblehead and Braida Garth. In 1084 the Domesday Book records the village of Inglestune being taxed on six carucates of land. A carucate was an amount that could be ploughed in a year by a man and his family and would equate to roughly 100 acres today. By 1297 the spelling had changed to Ingelton and 28 men are recorded as having been taxed in the village that year. With an average family of 5, the population would have been around 150 and all of the inhabitants were involved in farming. 1306 is the first recorded spelling of Ingleton following an investigation of the death of ‘the lord of the manor of Ingleton’. Ingleton was divided into High & Low Demesne and contained two mills and 21 cottages. In 1539 a muster role for all males between the ages of 16 and 60, due for military service, records 91 men available for service in Yngleton. Following the creation of the Church of England by Henry VIII, in 1541 Ingleton was in the Parish of Bentham, in the Deanery of Lonsdale, part of the Archdeaconry of Richmond, in the See of Chester. Geographically Ingleton was located in the West Riding of Yorkshire. By the late 1500s, over half of the population of Ingleton were involved in textile work, growing, preparing and spinning hemp and flax. Wool was also being processed, but to a lesser extent. Ingleton was well placed for trade, as it was situated on the intersection of two developing major routes, later to become turnpikes, between Keighley & Kendal and Lancaster & Richmond. When the Civil War broke out in 1642, Richard Lowther, Lord of the Manor of Ingleton joined the Royalist cause and became Governor of Pontefract Castle. Ingleton itself saw some action, as Prince Rupert brought his forces through Ingleton after his defeat at the Battle of Marston Moor. Parliamentarian forces under Major Rippon took control of Ingleton Hall and from there dealt with small pockets of Royalist resistance in the local area. Masongill Hall was placed under siege and pounded into submission by Major Rippon’s artillery. Richard Lowther died during the war, but his son Gerard was found to be delinquent for having taken up arms against Parliament. He was heavily fined and the Manor of Ingleton became mortgaged, losing control of the coal mines and mining rights. In 1803 another military muster list was drawn up for the Napoleonic Wars, showing 229 men between the ages of 17 and 55 out of a population of 1,101. Despite bull-baiting being banned by law in 1835, the last recorded instance of bull-baiting in Ingleton appears to have been in 1845. Some local bye laws in the 17th Century made it compulsory to bait a bull before it was slaughtered and Court records in Skipton show prosecutions for contravention of this rule. Ingleton’s bull ring was originally set in a large stone outside ‘The Black Bull Inn’, which closed in 1822, but is now just visible in the tarmac of the Market Square. In 1861 the railway came to Ingleton. Politics between the Midland Railway and the London & North Western Railway, the two companies operating the line either side of Ingleton viaduct, led to them building rival railway stations on either side of the viaduct. Such was the extent of the feud between the two companies that passengers wanting an onward connection had to leave their train at one station and walk with their luggage through the valley below the viaduct to the station on the other side. Life for the passenger was made even more difficult by independent timetables not designed for the ease of onward connections! This line was intended to become a main line to Scotland, but such was the inability of the two companies to work together that out of frustration the Midland Railway built the Settle-Carlisle line as an alternative route. This effectively killed off Ingleton as a main line station, although it took until 1954 for passenger services to finally be axed. When the Waterfalls Walk first opened to the public in 1885, it was the railway which brought tourists to the village. Special excursion trains ran from Blackburn & Bradford. In 1885 the railway brought 60,000 day trippers to Ingleton. In 1886 it was 100,000. 1885 was also the year of the marriage of Arthur Conan Doyle to Louise Hawkins at St Oswald’s Parish Church, Thornton-in-Lonsdale. A newly qualified doctor with a practice in Southsea, he was yet to make his name as a writer and was still dependent on financial help from his family. His mother lived in Masongill for more than half of his life from 1882/3 to 1917, yet it merited no mention in his 1924 autobiography, ‘Memories and Adventures’. This was probably due to Mary Doyle describing herself as a widow on arrival at Masongill, when her husband was still very much alive, but resident in a Scottish asylum. As Arthur’s fame increased, he may well have thought that drawing attention to his mother’s domestic arrangements could have led to scandal in Victorian England. Two of Arthur’s short stories ‘Uncle Jeremy’s Household’ and ‘The Surgeon of Gaster Fell’ are set in and around Ingleton. When visiting his mother, Arthur would have arrived at the Midland railway station and continued his onward journey by pony drawn cart. In 1875 the station was the scene of a well publicised fatality. A wealthy newspaper proprietor from Liverpool, Randal Hopley Sherlock was struck and killed by lightning while visiting his son, the vicar of St Mary the Virgin, Ingleton. Arthur’s cart journey under the viaduct would have taken him past Holme Head House and Holme Head Farm, through the valley dominated by the church tower of St Mary’s. Today it is obscured by mature trees, but a century ago, the stained glass ‘Sherlock‘ window dedicated to the memory of Randal Hopley Sherlock by his widow would have been clearly visible. In 1900 Ingleton was one of the first places in the country to benefit from electric light, generated by an innovative hydro electric power installation using turbines fed with river water. The 200 volt DC system was in use until 1933. Construction of the Model Village (now known as New Village) was under way in 1914, built to house the influx of mining families drawn by the high wages at New Ingleton Colliery. Over 300 people were employed at the pit, of which over 200 people worked underground. By 1915 the coal output was almost up to 2,000 tons per week, creating a ‘gold rush’ atmosphere. New Ingleton Colliery eventually closed in 1936, bringing coal mining to an end in the village. On 20th November 1920, The Ingleton War Memorial was dedicated to the memory of the 41 men from the village who gave their lives during the First World War. A further seven names were added after the Second World War. Each year it is the focal point for a wreath laying ceremony on Remembrance Sunday. White Scar Caves were discovered by a Cambridge student in 1923 and soon overshadowed Yordas Cave in Kingsdale, a big tourist attraction in the Victorian era. Ingleton Open Air Swimming Pool opened in August 1934, having been dug out and constructed by volunteers. Arthur Conan Doyle was not the only famous author to have connections with Ingleton. In the 1970’s science fiction & fantasy writer Michael Moorcock lived at Tower House, Storrs Hall. ‘The White Wolf’s Son’ from his Elric series is set in Ingleton.